Yeah its expensive, I'm paying for 250 down, but I like speed. No this is not meant as a competition. Damn that is some nice speeds. How much does that run you per month Jeff? 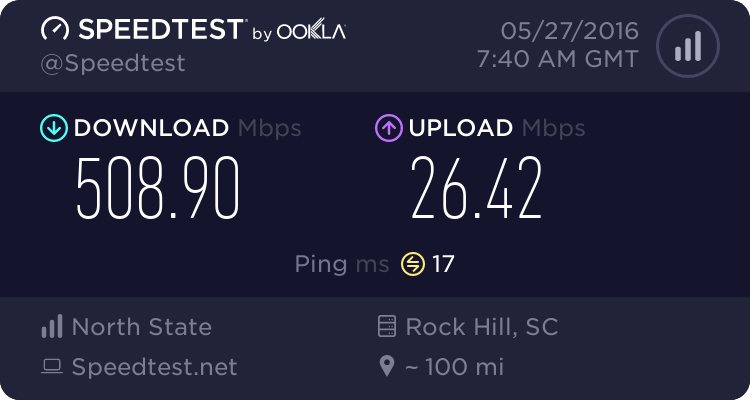 Not too bad, I just went to 100/10 at home with Time Warner Cable (~$50 with tax a mo) as my old ISP could only offer 15/1 ($38 a mo) here They offer 300/20, but a friend of mine is paying for the 200/10 service isn't consistently getting it where as I have for the last few weeks I've had it. 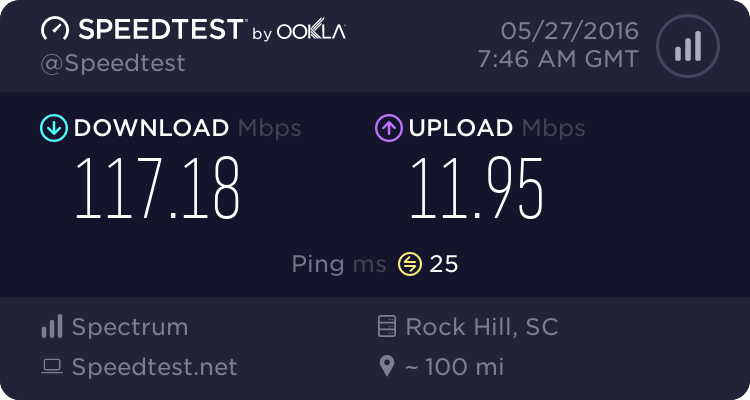 Oh well, I just glad TWC started offering faster than 50/5 for $80sh a month here so I could ditch 15/1 and not be paying that much for it. To be clear, still not a competition, just information. $150 + fees I think. Only chevit is I had to install a new modem. Too good to be true. Fun while it lasted. That's just Interwebs? Pricey, I'd say. 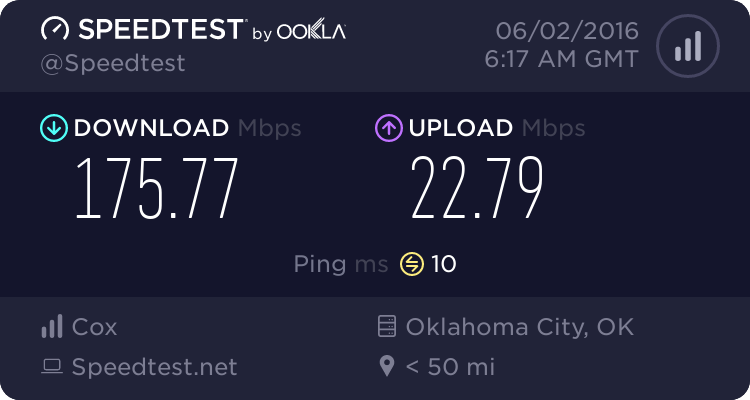 30 mbps up is nuts! I will admit that using the internet at work is really slow by comparison.We get like 4 Mbs there. Its a dual T1 I think.